Don’t you think you could benefit from a periodic body cleanse? Of course you would. But constantly asking the body to neutralize the threat of pathogens and eliminate toxic substances takes a toll on organ function. That’s why occasional detox cleanses should be a part of your regular health maintenance routine to renew organ function. 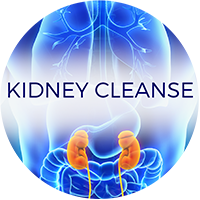 There are pure and potent cleanse systems for the digestive tract, kidneys, and liver. 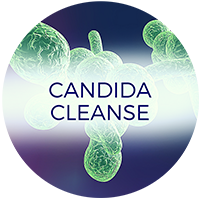 You can get specialized cleanse kits for Candida overgrowth and heavy metal exposure. But by far, the most fantastic detox protocol is the parasite cleanse. Check them out below. 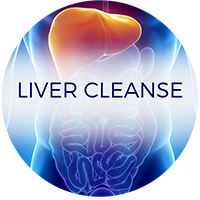 ​Performing a periodic liver cleanse can help to lighten the daily load placed on your liver and restore its vitality. Liver cleansing enhances digestion, helps to balance lipid profiles, and boosts energy. Dietary and lifestyle habits that interfere with beneficial flora and promote Candida growth include, taking antibiotics, consuming a diet high in refined carbohydrates, and undergoing chronic stress. 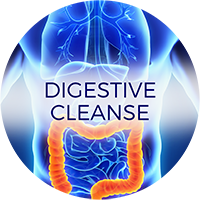 ​Many people equate digestive health with the colon – hence the popularity of colon cleanses. But in actuality, the colon is dependent on the health of other organs, including the stomach, kidneys, liver, and pancreas. When it comes to digestive health, focus on the entire system, not just the colon. ​Part of a healthy digestive tract is maintaining proper stomach acid production to break down foods and activate digestive enzymes. Parasites are gross! When you image them living and reproducing inside your body, it’s enough to make you quiver with disgust. And it turns out, you can easily contract one and not even know it if you don’t know what to look for. ​Alternative health pioneer Dr. Hulda Clark recognized a common thread in many of her patients who suffered from various diseases – they had parasites. 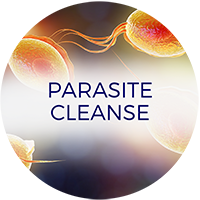 And she found that cleansing the body of parasites had a profound effect on restoring health. ​Heavy metals can alter the elaborate communication system between organs. This short circuiting can lead to a number of serious health problems, including brain and neurological disorders. A heavy metal detox lifestyle is a life-long commitment and requires limiting your daily exposure to metals from your water, food, personal care products, and household goods. 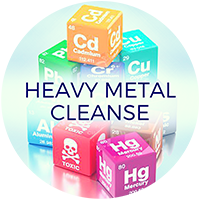 You can further help yourself by performing a periodic heavy metal cleanse to lighten your heavy metal load. ​​The kidneys are sophisticated processing machines. They process 50 gallons of blood each day and take out excess water, waste products, and toxins. ​If your kidneys didn’t remove these unnecessary substances, toxins would build up in the blood and contribute to systemic damage.